For those who do not have insurance benefits, we offer a 10% discount when paying in full for your treatment on the date of service. We also accept Care Credit or arrange a payment plan for patients needing major treatment. For your convenience, we accept cash, personal checks, money orders, and most major credit cards. Payment is expected at the time services are performed. We can make financial arrangements if your treatment plan requires more comprehensive dental work. Care Credit is here to help you pay for treatments and procedures your insurance does not cover. They offer No Interest* financing, or low minimum monthly payment options so you can get what you want, when you want it. With three simple steps, including an instant approval process, it's easy to apply for Care Credit. After you're approved, you're free to use Care Credit to finance your services in our office. For more information, or to apply online, visit carecredit.com. 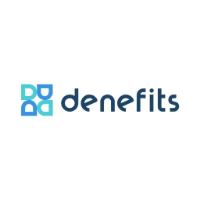 Denefits is a revolutionary healthcare patient financing platform that works as a financial protection for your procedures of all ranges. Denefits provides patient financing with no credit check & at low interest rates, instantly. Our practice accepts PPO plans. Our dental team will prepare all the necessary forms for your dental benefits. However, we remind you that your specific policy is an agreement between you and your insurance company. Please keep in mind that you are responsible for your total obligation should your insurance benefits result in less coverage than anticipated. We will gladly submit a pre-authorization estimate to your insurance company so that you will have a better idea of what your benefits may cover. The fees charged for services rendered to those who are insured are the usual and customary fees charged to all our patients for similar services. Your policy may base its allowances on a fixed fee schedule, which may or may not coincide with our usual fees. You should be aware that different insurance companies vary greatly in the types of coverage available. Also, some companies take care of claims promptly, while others delay payment for several months. We have partnered with an alternative program through Careington POS Dental Plan. This decision to partner with Careington as the alternative is in the best interest for you, our patient. Please note the website www.careington.com, and we invite you to explore the option to sign up for the discounted dental plan. You may also phone Careington directly to sign up for the coverage at 1-800-290-0523. Do not hesitate to contact our office with any question or concerns. Please know that when shopping around for dental coverage, keep in mind our office is a PPO provider and we DO NOT accept HMO or Medicaid. Thank you for understanding. We appreciate your trust in our office with your dental needs and family’s care and we look forward to continuing to care for you many years to come.